Todd County is ripe with history. 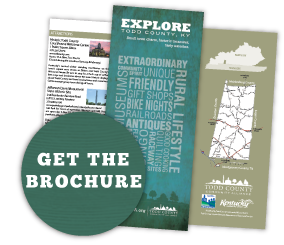 Created from parts of neighboring Christian and Logan counties in 1820, Todd County has 15 listings on the National Register of Historic Places and 10 Kentucky Historical Markers have been placed at historically significant locations within its borders. The Stage Coach Inn in Guthrie was a significant stop along the Trail of Tears and also served as a Confederate hospital in the Civil War. The picturesque Old Courthouse in Elkton’s historic town square is the second oldest standing courthouse in the state. The Allensville post office pioneered rural delivery of mail in Kentucky. Elkton’s native sons include a former U.S. Treasury Secretary and a Supreme Court Justice. Guthrie also played a significant role in the Black Patch War. From notable homes to historic places, Todd County’s history is fascinating. 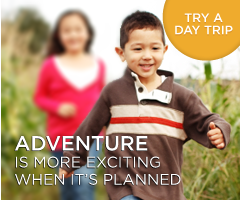 Come spend a day touring Todd County and its many historic treasures. You’ll be glad you did! Click the image below or click here to download the PDF of the Historic Todd County Day Trip.